Some of the most popular hashtags on Instagram are #travel, #wanderlust, and #adventure, and for good reason. Social media platforms like Instagram and YouTube are ideal for sharing travel photos, videos, and vlogs. And, social media users are keen to find travel content. 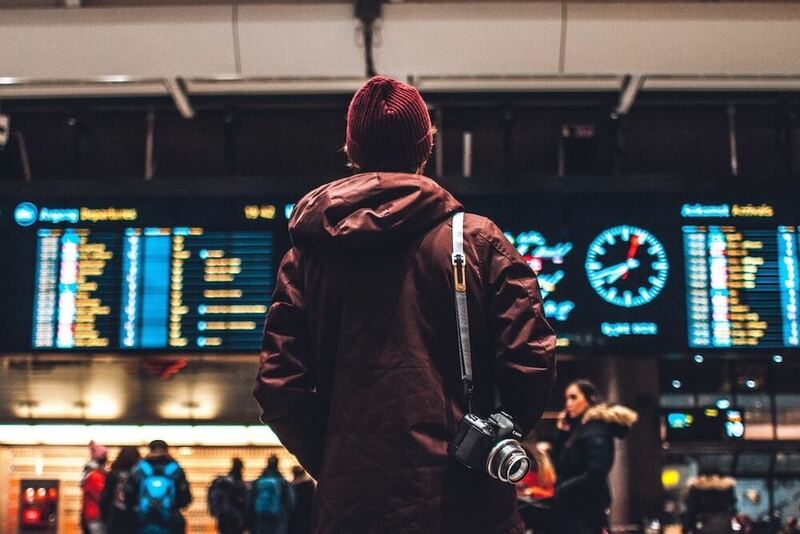 Whether they’re seeking inspiration or advice, travelers look to social media – and influencers – for their travel needs. Instagram is abuzz with travel posts, and travel vloggers can help steer the conversation. According to Internet Marketing Inc., 87 percent of millennials use Facebook for travel inspiration, and 84 percent reported user-generated content having more influence than ads. With so many of us posting while traveling, influencers and travel vloggers work extra hard to stand out from the crowd. Check out our list of 10 trending travel influencers who will photograph, vlog, and review their way around the world through 2019 and beyond. The list is comprised of popular travelers whose posts were trending on Julius at the time of writing. FunrForLouis, whose real name is Louis Cole, is a British travel vlogger known for his positive outlook on life, traveling, and charity. His influencer journey began in 2012 when he bought and refurbished a double-decker bus to travel in. This is me. 32 years of sun on my face, cold on my skin & a deep intense desire to learn and grow. A portrait seemed like a good way to start out the year since this account isn’t really about me but about my observations & documentation of the world around me. I take a lot of pride in my work & the ability to share it.. I started my career 13 years ago shooting film & watched the transition to digital. . This portrait was shot by @johnkelseyphoto on a Hasselblad 500c , which in many ways makes it extra special in my mind. Chris Burkard is an American travel photographer whose awe-inspiring landscapes and philanthropic conservation trips have earned him more than 3 million Instagram followers. Chris has held workshops on photography and held talks on conservation, too. A 2018 Shorty Award nominee, exploringwithjosh is another travel vlogger whose adventurous lifestyle finds him on desolate islands, in abandoned hospitals, and even the Chernobyl exclusion zone. In addition to his travels, Josh likes breakdancing and streaming video games. A fashion vlogger by trade, Maren Wolf often travels the world in search of the hottest fashions and the latest designs. Whether she’s shopping in New York or vacationing in Bali, her vlogs showcase her hauls from cities around the world. Be unique, be weird and most of all, be You because nobody accomplished anything great by being normal. From exotic beaches to ancient cities, Christian LeBlanc ditched his office job to travel the world and make videos. His travel vlogs feature advice, challenges, and reviews. Christian also offers classes on video and photo editing. Nicolo Balini is an Italian travel photographer who surfs, canoes, and dogsleds his way around the world. He frequently vlogs about his travel experiences, photography gear, and his daily routines. Nicolo also routinely offers group travel packages, so that his followers can travel and party with him around the world. Lauren Bullen, who goes by the moniker gypsea_lust, curates her Instagram feed with beautifully intimate photos from her worldwide travels. She sells her preset filters so that her 2 million followers can match her artfully crafted aesthetic. Some travel photographers feature their destinations as subjects, others feature themselves. Theron Humphrey breaks the mold, showcasing his dogs as they traverse the countryside together. Theron has released several photo books documenting his adventures with his dogs. Kiersten Rich, aka The Blonde Abroad, is a solo-traveling vlogger who showcases her style, advice, and adventures on her Instagram. Kiersten also books all-inclusive female only tours, in addition to her travel advice blog. Clint Johnson, the triphackr, is a travel photographer who’s visited over 120 countries and counting. His photography has been featured on CNN, Lonelyplanet, and more. Clint also showcases destinations, activities, and events on his YouTube channel.